Effective quality educational governance is an essential part of the mix for any successful school, along with effective quality management. ASCIV has continually trained and supported School Councils/Boards seeking to build their governance skills and improve their student outcomes. We have produced the first on only definitive guide for School Council Governance in Australia. The Association began at the Ballarat School of Mines in 1914, evolved into the Technical Schools Association (TSAV), became ACPPIV when membership opened to all secondary schools, and ASCIV a decade later when primary and specialist schools joined. That’s nearly a century of service. ASCIV is a school council organisation which represents the principal (as Executive Officer), staff representatives, parent representatives, community members and student councillors equally. It is a small but very important distinction because effective School Councils or Boards are not about them and us, individual agendas or micro managing our Schools and Colleges. ASCIV is non-party political and we work with the Government(s) of the day, as we have done for 90 years, in the best interests of good governance and to ensure the best outcomes for all students. We receive NO government funding, but draw our support from membership subscriptions, our professional training activities and the sponsors featured on this site who share our governance philosophy and respect our judgement. ASCIV staff are accredited school governance trainers. And they are all experienced school councillors from a broad range of professional backgrounds. ASCIV works cooperatively with similar governance focused organisations in Australia and New Zealand through it’s Co-Presidency of the National Organisation of School Council Associations (NOSCA). We also maintain strong links with like-minded organisations around the world. While many things have changed over the years, our commitment to excellence in school governance remains as strong as ever. If you need further convincing, simply give us a call. 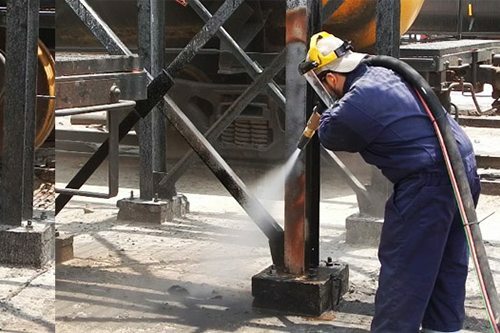 Abrasive blasting is a kind of technique that is necessary for all varieties of industries. There are many types of abrasive blasting surfaces out there. These surfaces include concrete, timber, steel and even glass. Abrasive blasting, in a nutshell, involves putting specialized coatings directly on top of surfaces that are blasted. Abrasive blasting generally involves the use of epoxy. It sometimes involves the use of H20 coatings that are drinkable as well. Professionals frequently prefer abrasive blasting to other techniques such as manual and chemical stripping. Abrasive blasting is a big part of the metals world. People sometimes refer to the technique simply as “sandblasting,” too. Sandblasting Melbourne by Vacublast can help professionals who wish to extract contaminants such as powder coating, paint, fabrication flaws, corrosion and rust. If you’re looking to get rid of oxide that’s lingering on top of any kind of metal surface, then you may want to learn the ins and outs of abrasive blasting as soon as possible. People can use this technique on other surfaces that possess tough and hard textures. Examples are carbon fiber and fiberglass. This blasting can do wonders for the aforementioned purpose. It can also be good for professionals who are looking to introduce adhesion benefits. It can even accommodate metal etching needs well. It’s not always easy to get rid of signs of corrosion and rust. Rust is a major problem. That’s because it has the ability to lead to serious and detailed surface deterioration. It can even bring on severe structural issues that can make metal practically useless. Rust can in some cases trigger considerable hazards that can pose risks to human beings. If you’re looking for a business that can accommodate all of your blasting requests, you need to put a lot of attention into the search process, period. It’s smart to search for professionals who have extensive blasting experience, first and foremost. Look for professionals who have the expertise necessary to blast clean and strip all varieties of fiberglass and metal surface components. Things used to be totally different for individuals who were in need of clean steel. They used to be completely different for those who were in need of all varieties of clean metals. Professionals often had to deal with the stresses of nonstop scrubbing work. They often have to manage persistent aggressive chemical soaking as well. Modern blasting practices, however, have been game-changers for professionals. People no longer have to commit days and days on end to metal cleaning needs. That’s because they can frequently complete these tasks in mere hours. This can do a lot for businesses that are looking to reduce their costs on labor. It can conserve a lot of valuable time. If you’re searching for blasting experts who can make you feel peace of mind, you’re in luck. There are many respectable companies that can provide you with top of the line blasting services. Your objective should be to find a company that can accommodate all of your blasting needs perfectly. A beautiful lawn outside your home offers a great view. With increased awareness of sound environmental practice, grass has gained popularity. One can choose to have either an artificial or a natural lawn. 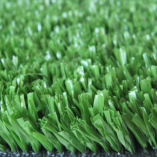 There are many benefits of getting Artificial Grass Online Melbourne offers. Imagine the time and money you spend on keeping your natural lawn healthy and nice, then compare this with what you need to upkeep your artificial turf. An artificial lawn does not require any watering, mowing or seeding. Although it may seem costly because of the initial investment, it is the cheaper alternative in the long run due to insignificant maintenance costs. Installing Artificial Grass Online Melbourne is a perfect choice especially for those living in adverse climatic conditions. For instance, those in deserts or extremely cold areas have a hard time keeping grass alive. It is costly and may seem impossible. The same qualities that make it a perfect choice for those in extreme climates make it ideal for those in moderate climates as well. If you have a pet, then you understand too well how they can ruin your natural grass in no time. You have probably caught dog digging holes in the lawn and at times transferring mud from the yard to your lovely carpet. Laying Artificial Grass Online Melbourne can bring to an end all these challenges. Artificial lawns are safe for pets and cannot be ruined easily. It will not discolor when pets urinate on it, and the grass will clean itself when it rains. This way, everybody is a winner. Learn more at http://www.artificialgrassonline.com.au/melbourne/. Whether it is during winter or summer, Artificial Grass Online Melbourne will come in handy. You will not have to worry about mud being trailed into your house during the rainy season, or the grass drying up during hot seasons. The artificial turf is less susceptible to tear and wear as compared to natural grass. Artificial Grass Online Melbourne is also suited for areas where natural lawns suffer due to heavy usage. For instance, play areas, poolside and dog kennels are potential places for artificial turf upgrades. Installing artificial turf does not only increase aesthetic properties, but it also reduces the dirt and mud that results from mud on a natural lawn. Artificial lawns are also ideal for sporting activities such as golfing. If you are a passionate golfer, consider designating a part of your landscape towards improving your skills at the game. Artificial Grass Online Melbourne will offer you maximum enjoyment all year round. Talk to a lawn specialist for advice on how you can install the lawn. Although Artificial Grass Online Melbourne requires heavy investment at the beginning, its maintenance is lower than that of natural grass. It also remains green all year round. Now that you are aware of all these benefits, you are probably planning on installing an artificial lawn. Although it may seem easy, installing Artificial Grass Online Melbourne is not a DIY job. It is advisable to hire a qualified gardener to install and help you maintain it.